Mercedes reinvented the sedan design in 2004 blending it with traces of coupe shape when the first CLS debuted. A new breed of four-door coupes was born and you probably already read a bunch of reviews comparing it to BMW 6 Series Gran Coupe and Audi A7, so we will leave that aside. In 2013 another Merc coupe-sedan was born as CLA, but putting it next to the CLS seems kind of absurd. So, let’s allow our imagination to go wild for a bit and see what future might hold for us when these giants meet. Ladies and gentleman, 2019 Mercedes-AMG CLS vs 2019 Mercedes-AMG GT4. CLS is four-door coupe based on E-Class and currently available second generation is already seven years on the market. Pictures of masked test mules are swarming the internet so next year should see the debut of a new model. That same year could be the year of another revelation, precisely four-door version of AMG GT model. Whether it is actually gooing to be called GT4 or not, we don’t know, but let’s leave the name to serve the purpose for now as we dig in whether this kind of comparison has any sense. Now you may wonder why we should compare those two future models since price gap is hardly going to fall bellow $40k between them? Well, the spot where current CLS stops is the one where AMG GT starts. AMG CLS63 S asks for $109k or just two grand shy of base AMG GT and presumably of upcoming AMG GT4. If current pricing remains in future, it would mean we have a thin line in which those two different kinds of things overlap, making you wonder for which one to go. 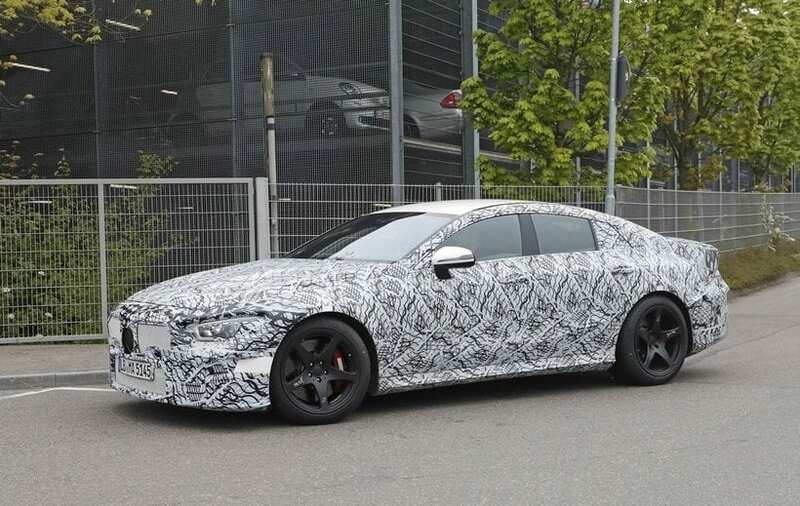 Plus, current AMG version of CLS uses 5.5-liter twin-turbocharged V8 which is replaced by a new 4.0-liter twin-turbo V8 in all latest models, so expect the new one to follow the same path. And guess what? 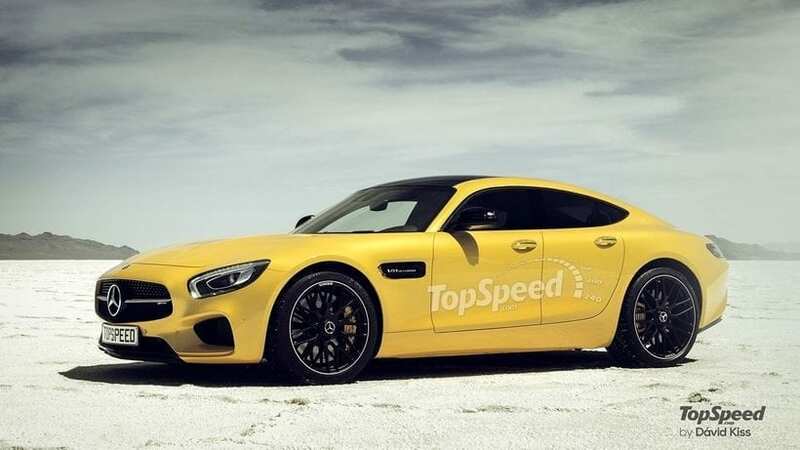 That same new V8 is what powers AMG GT model and what is going to be under the hood of the one with more doors, making possible another overlap, now in power sense as far as base version of future GT4 is in question. So, we have the same price and the same thing under the hood, but there, all similarities end. 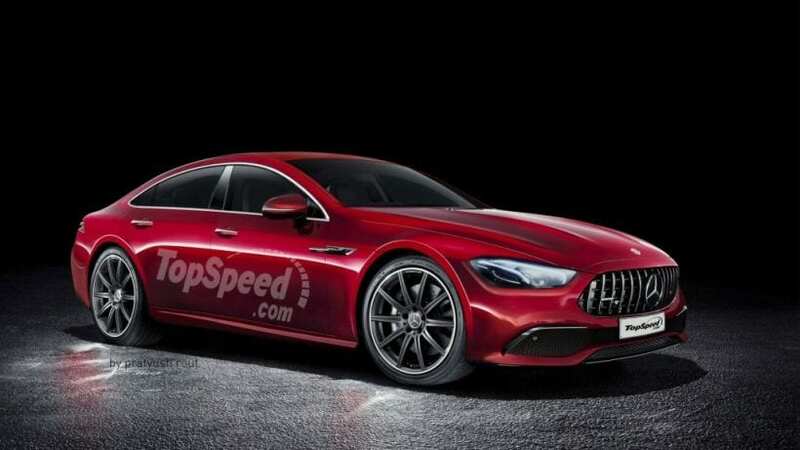 As we said CLS is based on E-Class, GT4 will be based on AMG GT. First one is sedan flavored by coupe attributes, while the second one will be coupe garnished by sedan traits. Mentioned starting points are here as guides of what should we expect from them. CLS emphasize luxury at the cost of dynamics even in AMG outfit, while GT4 is going to do the opposite, trying to bring to an end Panamera handling reign. As far as how these two are going to look, we don’t know for certain, but some clues do exist, and website TopSpeed went through the trouble to show us their view through renderings. The one depicting GT4 heavily draws cues from AMG GT Concept, basically adding conventional mirrors and door handles with slight revisions of headlights and bumper. 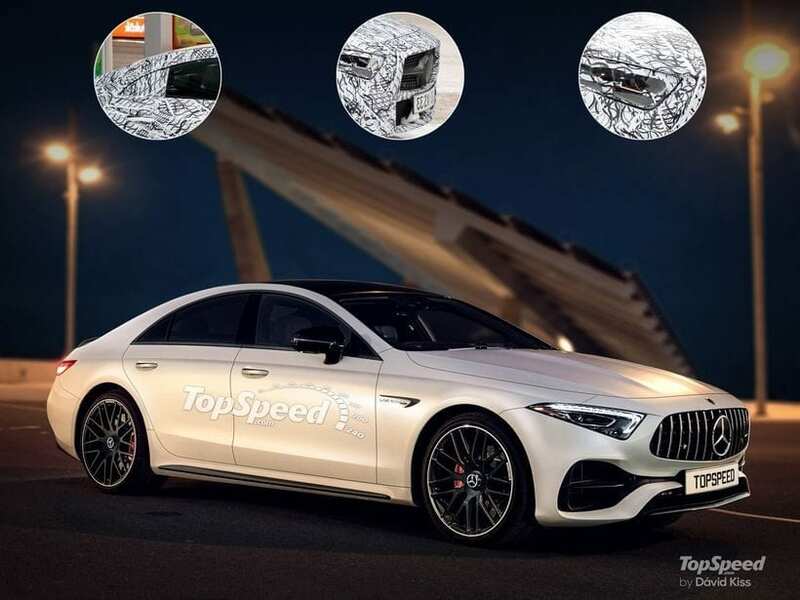 Rendering of AMG CLS collects inspiration from available spy shots of the upcoming new generation which also carry some ideas from Concept A sedan. The main thing is a brand new shape of headlights, which are very sharp and angular and nothing like current styling solutions. Since both models will presumably have bumped hood, Panamericana grille and AMG styled bumper, those headlights will set them apart by miles as GT4’s ones are more leaning to the evolution of current design. 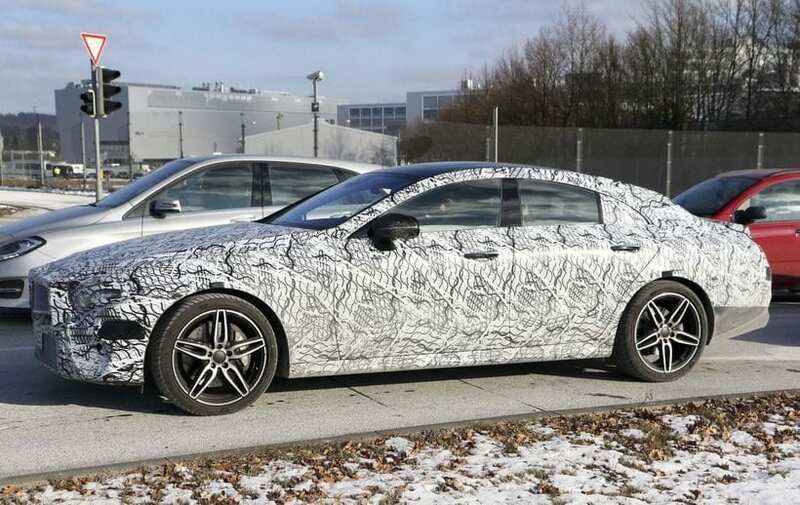 Overall shape could also differ, leaving CLS in more resemblance to the sedan part of the world, GT4 presumably striving more to the coupe side, as it is done with Porsche’s Panamera. WHICH ONE TO WAIT FOR? They will be both luxurious and fast and most of all beautiful. But, they are definitely not the same class, and they are definitely poised at offering a different type of driving enjoyment. If you are after gorgeous, brutally powerful, but first of all luxurious sedan than 2019 Mercedes-AMG CLS might just be your pick. On the other hand, if you want a practical sports car, the one in which you bring your family with you on racing weekends, leaving them watching and cheering while you are doing your hot laps, then 2019 Mercedes-AMG GT4 is the obvious choice.